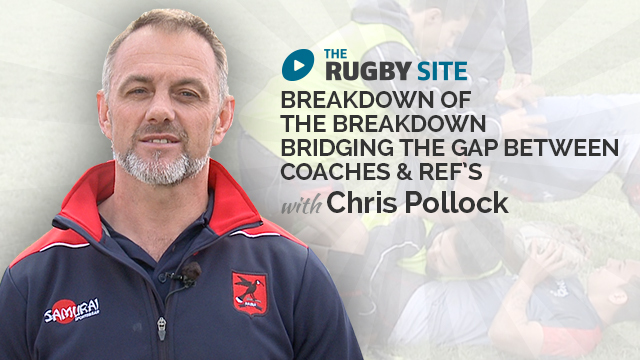 Watch Chris in this new series explain how to bridge the gap between coaches and refs. TRS introduces Chris Pollock, ex international referee. 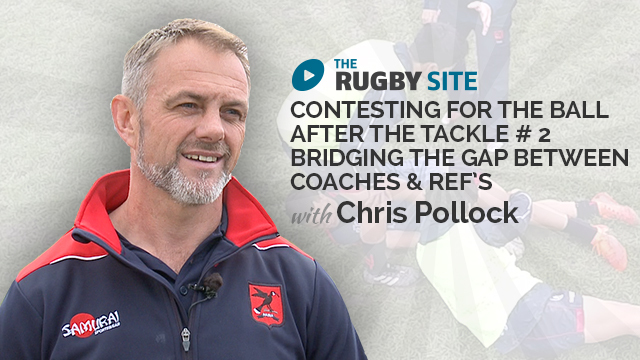 In this video we hear from Chris as he explains how he can help coaches and players understand the game better. Enjoy! I have a question. Where is the offside line ? Is it at the last man’s foot? Great to have the referees point of view. I believe that Matthew Carter is correct about the time given to the 9 at the back of rucks when the ball is clearly out. It may be an unwritten rule now that high level players do not go after these balls as a trade off for the referee allowing them so often to stand in an offside position (not behind the closest body part to their own goal) beside a ruck with out joining. Many are allowed to stand mid ruck either defensively or offensively with just a hand in contact. This, in my opinion, is what kills the flow of the game as the next tackler is coming from an offside position. 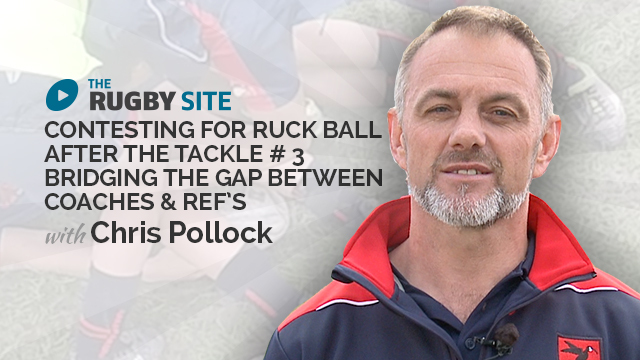 Part of coaching young players is helping them to identify when the ball is out of the ruck and now time to attack. I usually fall back to “If a bird can poop on it, it’s out!” More content from experienced referees is welcome. Thank you Chris. Brilliant. So many subtle aspects to the contact area law. Just picked up two new ones! The new laws will be interesting – Going to a session tonight to get full clarity!!! really great to have some laws stuff but I really got confused now. Last situation doesn’t seem a ruck to me, cause defending player never was on his feet. Could you please explain? Law 16.1(b) clearly states that players must be on their feet for a ruck to be formed. Scenario 2 as outlined cannot be a ruck. Can you please clarify? In the ideal Rugby World this would be fine but when the Laws are not applied we see Players coming in from the side , all day long, as was the case in the recent AB’s v Lions series. Yes. Perfect age group U15s as well. More of these please. Great insight. Great idea. Really looking forward to this series. 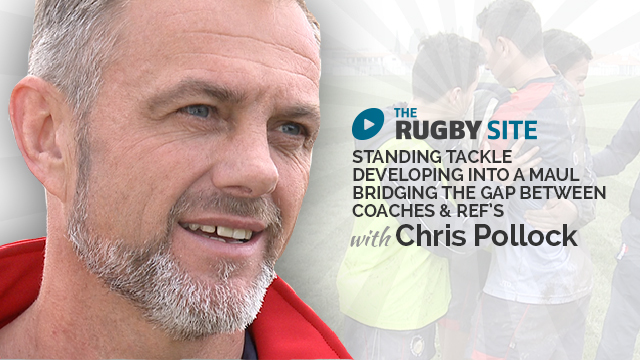 As a former player, referee and coach, albeit at a lower club level I understand where Chris is coming from. Club spectators and many players love to do down refs yet nearly all have never reffed or read a law book. 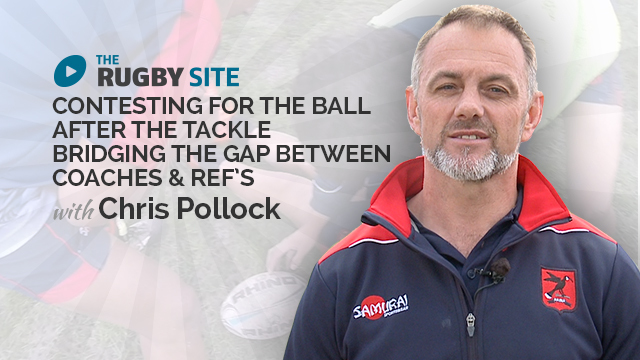 Rugby site should build on this expertise aimed at club level players and hopefully a more informed understanding of a refs role will develop.